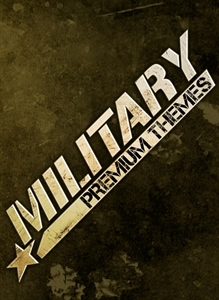 Military themes and picture packs. 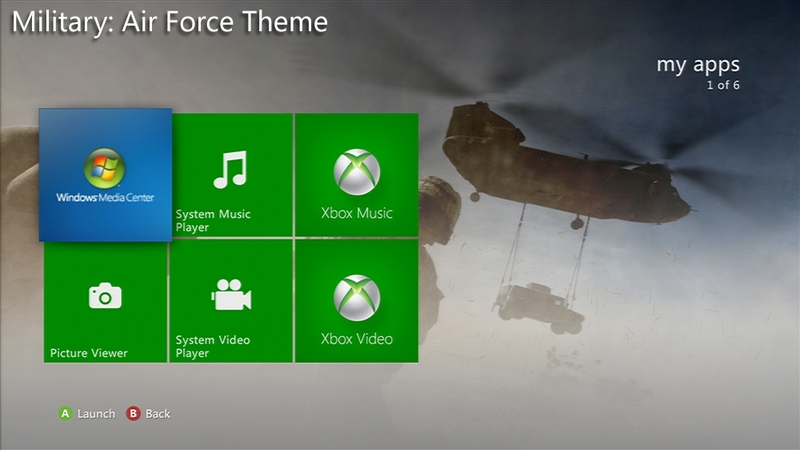 Take your Xbox to the skies and download this military inspired theme. 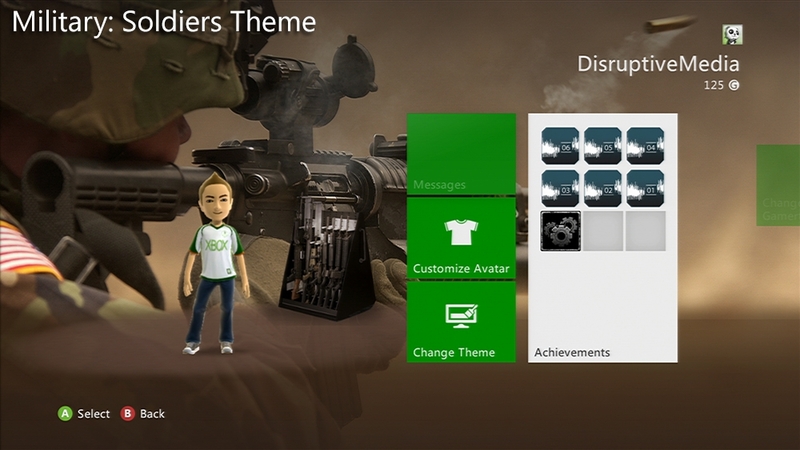 Take your Xbox to the seas with this military inspired theme. 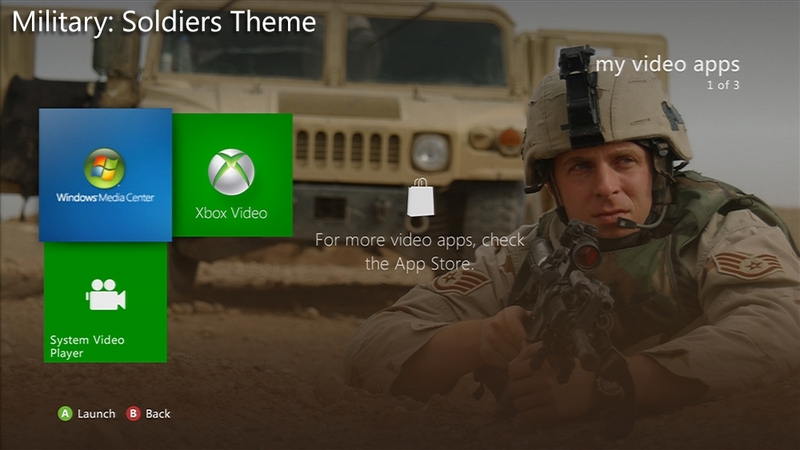 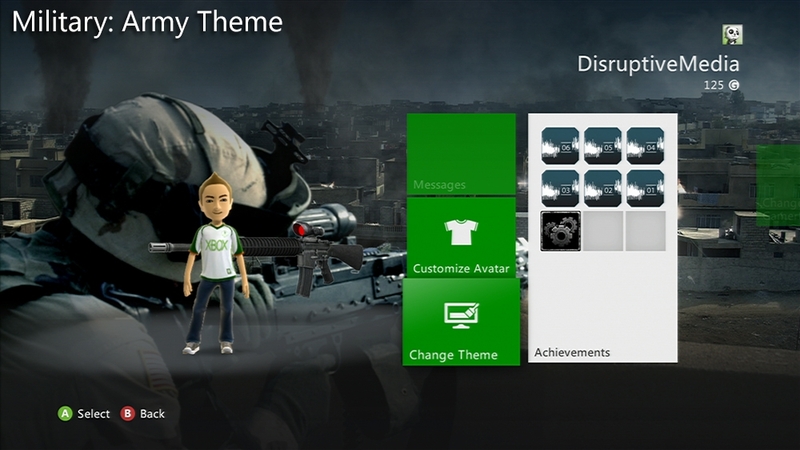 Take your Xbox to the battlefield and download this military inspired theme. 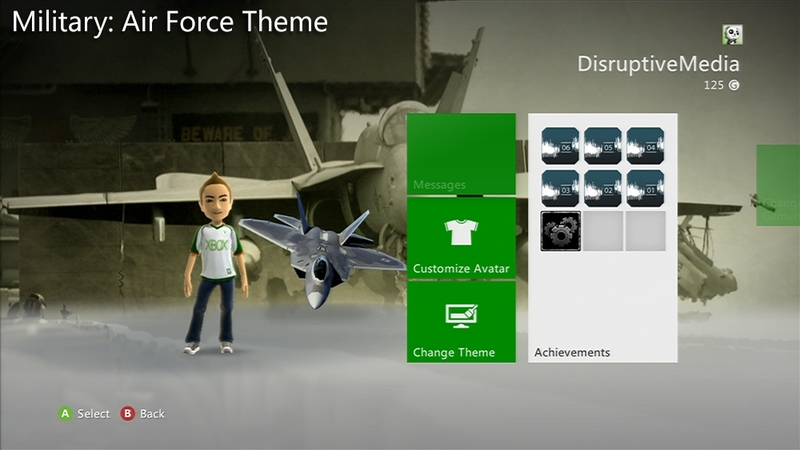 Take your Xbox back in time and to the skies with this military inspired theme. 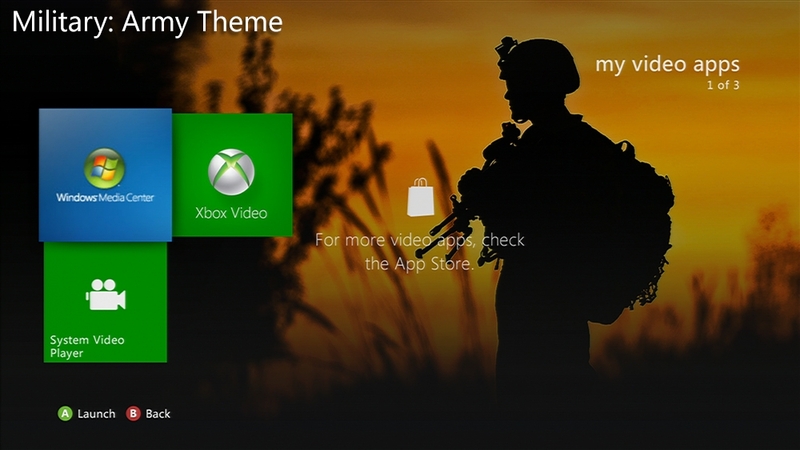 Download this amazing theme that features compelling military images.